Meeum’s one-on-one individual training is perfect for those who want to increase their digital literacy and know-how. We can help with HTML & CSS coding, WordPress, SEO, Facebook advertising and everything in between. If group classroom situations aren’t for you or you can’t make it to one of our scheduled workshops, we offer any of our advertised courses in a one-on-one format or can tailor something just for you. Duration: as long as you need! We get it, large group workshops aren’t your jam. It’s ok if you can’t find a workshop date that suits or you just prefer a more intimate learning experience. We can work with you to give you the tech upskill you’re looking for. At a time and place that suits you. We won’t just teach you the basics. You’ll learn best practice approaches, innovative ways of working and receive a solid list of resources to keep you motivated and interested well after we finish learning together. We can come to you or we’ll host you at ours. Comfortable, friendly and zero intimidation. HTML, CSS, SEO, accessibility, semantics, responsive design and so much more. Depending on which format or workshop you choose, we can also cover other topics such as WordPress, Shopify, Squarespace or almost any other platform. What will I walk out with? Confidence, hot new skills, and serious steps toward awesome new professional and personal opportunities. Already have an idea of what you want to learn with us? Perhaps you’re keen to upskill in SEO, or learn how to code a website or something else entirely. 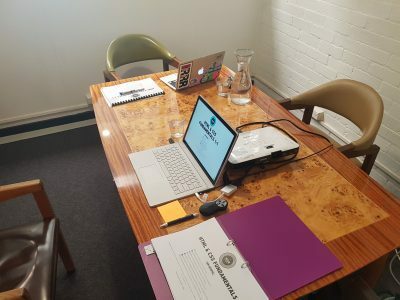 Startup founders, small business owners, creatives, hobbyists, bloggers, teachers, parents… anyone who wants to learn to code and start their learning in the best way possible. Enough already – book me in! Get in touch and let’s do this. Together. It’s going to be awesome. You can email us at learn@meeum.com, call Elyse on 0413 697 696, or chat to us on Facebook Messenger.